The National Art Gallery of the Maldives is located in the heart of Malé and is the only exhibition space of its kind in the Maldives. 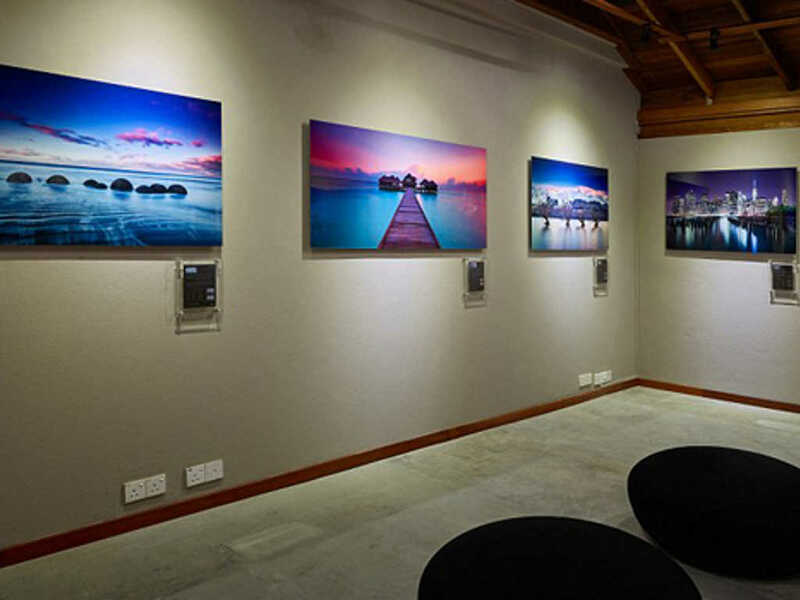 Established by the Government of Maldives in 1999 to showcase regular displays of Maldivian and international artworks to preserve the history and instill patriotism among the people of the Maldives, the small the gallery has regular exhibitions, showcasing a variety of artworks from photography to paintings and conceptual works, by local and regional artists. The National Art Gallery showcases solo exhibitions that represent some of the nation’s fledgling art scene, as well as hosts the biennial contemporary exhibition, which highlights the myriad art forms originating from the area, ranging from arts and crafts, conceptual works, and photography. The National Art Gallery showcases solo exhibitions that represent some of the nation’s fledgling art scene. The original three-storied museum building is situated in the Sultan Park, which is part of the site of the Maldivian Royal Palace compound dating back to the 17th century. The new building of the museum, which was designed, built and financed by the Chinese government, is also located in Sultan Park. The beautiful interiors of the museum have been retained from the days of the Sultanate, including the handwritten words of the Qur’an engraved on the walls of the building. Opened on the National Day of the Maldives, the first national museum of the country was opened on November 11, 1952, by the Prime Minister at the time, Mohamed Amin Didi. 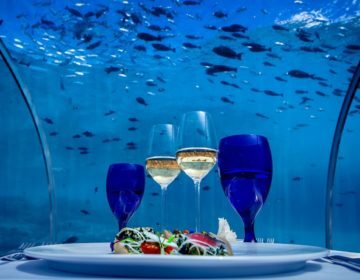 The new museum building was presented to the Maldives by the Chinese government on the 10th July 2010 but was officially opened and declared as the new national museum two weeks later on the country’s Day of Independence on the 26th July 2010. The new building of the museum, which was designed, built and financed by the Chinese government, is also located in Sultan Park. The National Art Gallery of the Maldives houses a diverse selection of artifacts that include relics from the foregone pre-Islamic period era such as royal sunshades and furniture, arms and armor, thrones, coins, costumes and shoes, and various ornaments. Also, on display are luxurious textiles such as turbans, ceremonial dresses, fancy slippers and belts that are used on special occasions, intricate lacquer work, hand woven mats, and other types of creative embroidery. 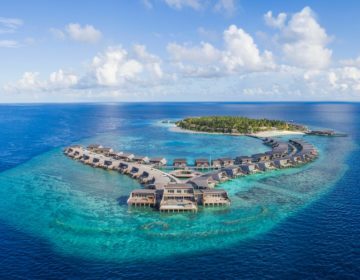 Highlights of the collections include a coral stone head of Lord Buddha, the 11th-century piece from Alifu Thoddoo; a 13th-century engraved wooden plank from Hukuru Miskiiy; and the Feyli Kolhu worn by the Sultan Ghaazee Mohammed Thakurufaanu-al-A’z’ am, which is a fine example of the intricate craftsmanship of the Maldivian weavers in the 16th century. 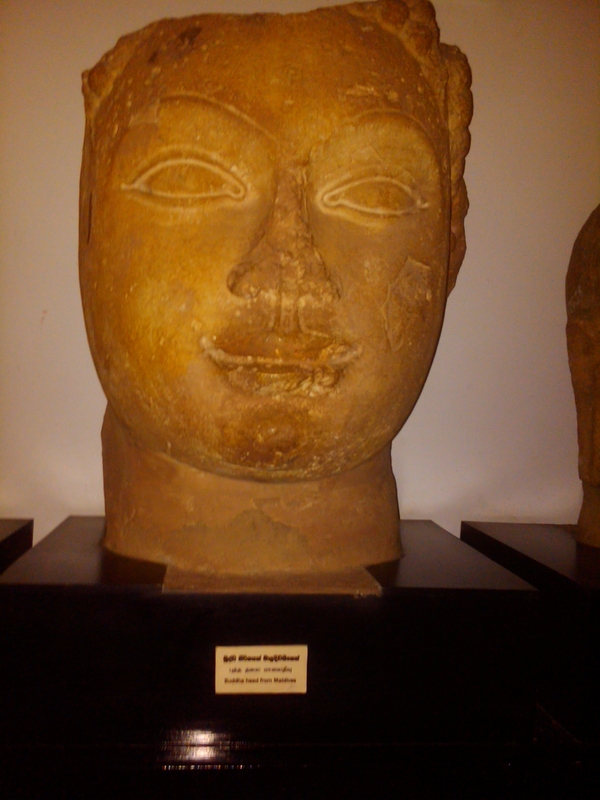 Highlights of the collections include a coral stone head of Lord Buddha, the 11th-century piece from Alifu Thoddoo. The National Art Gallery of the Maldives also houses the National Library of the Maldives (Gaumee Kuthubuhaanaa). Established in 1945 as the ‘State Library’ of the Maldives by Ameer Mohamed Amin Didi, who was the Head of the Department of Education at the time, the library was renamed the ‘Majeedi Library’ in 1948 after one of the most popular statesmen of the Maldives, Ameer Abdul Majeed Didi. In 1982, the library was renamed National Library by President Maumoon Abdul Gayoom. Today, the library serves as the Public and National Library of the country, focusing on and maintaining modern literature. 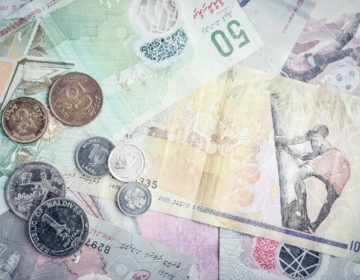 It houses a diverse collection of all published reading materials and documents within the country, including Arabic, Urdu, Dhivehi, and English books. The English section includes both References, Fiction and Non-Fiction, while the Dhivehi section, Arabic section, and Urudu section hold thousands of books. The library also contains special collections in its American Corner, along with a UN collection, a Women and Gender collection, and a Serial collection that holds periodical volumes, pamphlets, newspapers, and press cutting files, manuscripts, reports, journals, and other serials. The National Library is financed by the government and functions under the Ministry of Information Arts and Culture. 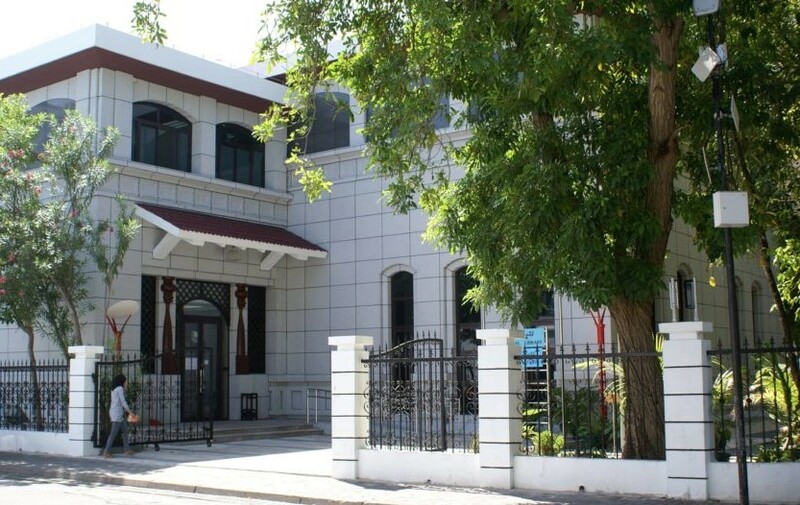 The National Art Gallery of the Maldives and the National Library is open year-round from 10.00 am to 4.00 pm, from Sunday through Saturday (closed Friday). Ministry of Information Arts and Culture.